New Star Wars "A Very Vader Valentine's Day" Book now available! New Star Wars “A Very Vader Valentine’s Day” Book now available! 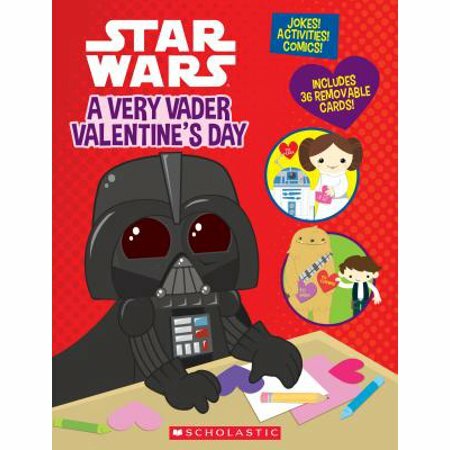 Walmart has debuted a brand new Star Wars themed item: “A Very Vader Valentine’s Day” book! This book costs $7.76 and shipping is free. An quirky Valentine’s-themed activity book filled with Star Wars comics, games, and thirty-two perforated Valentine cards! A funny and quirky take on Valentine’s Day . . . Star Wars style! Includes sixteen pages of jokes, comics, activities, and mini-bios about famous Star Wars friendships.